CHARGES: Public Intoxication; Public Urination. RESULT: Pre-Trial Program; citations dismissed. Defendant was frequenting the many bars and clubs on the Carson Street Strip on the Southside of Pittsburgh and simply had too much to drink. Defendant left on of the many establishments searching for a taxi. While waiting for the cab, the Defendant sought to relieve himself in between two buildings and was stopped by police officers. Defendant was arrested and cited for public intoxication and public urination. Defendant was referred to Attorney Frank Walker by a friend and former client who faced similar charges. Attorney Walker agreed to meet with the Defendant and accepted the case after reviewing the paperwork and the Defendant's lack of criminal history. As in his normal custom, Attorney Walker required the Defendant to complete certain mandatory tasks prior to the Preliminary Hearing to aid the resolution of the citations. Attorney Walker contacted the officer on the case who agreed to resolve the citations while preserving the Defendant's clean criminal record. Upon learning that the Defendant completed Attorney Walker's pre-trial program, the officer agreed to dismiss the citations and the Defendant walked away with his clean record intact. RESULT: Suspended Sentence for 90 days (charges dropped after 90 days of separation). The Defendant was charged with summary harassment after unknowingly being entangled in a relationship with a young man whom was already committed to another woman. The man claimed he was divorced but he was actually only estranged from his wife while dating the Defendant. The Defendant eventually found out about the relationship status and broke it off with the man. The man's wife eventually became aware of the Defendant as the "other woman" and several verbal confrontations ensued. The Defendant was caught in the middle and simply wanted to remove herself from the situation. However, before she was able to do so, the man and wife reconciled and the wife filed charges claiming the Defendant was guilty of Harassment. The Defendant contacted Attorney Frank Walker for advice on how to handle the charge without reintegrating herself into the relationship. Attorney Walker agreed to accept the case and begin to take steps to resolve the matter as quickly and quietly as possible. Attorney Walker represented the Defendant at the Preliminary Hearing and negotiated a suspended sentence for 90 days. Meaning, if the two parties would remain away from each other for 90 days, the charges would be dismissed without any permanent record, fines or jail time. RESULT: Guilty plea; 6 months of probation without verdict; no criminal record if probation successfully completed. Defendant was arrested and charged with possession of narcotics after a traffic stop one evening in Downtown Pittsburgh. Defendant faced maximum penalties, which included jail time, a permanent record and fines. Defendant was a young man with no criminal history and just beginning his life with his fiancée. A conviction for the misdemeanor drug offense would not only cause the Defendant to have a permanent record, but also called for a mandatory 6 month license suspension. Defendant contacted Attorney Walker for assistance with the case in hopes of avoiding jail time and a permanent record. Attorney Walker agreed to accept the case after reviewing the records and immediately identified some issues with the traffic stop that would give rise to the filing of a potential suppression motion. RESULT: Reduced to Disobeying a Traffic Signal; no jail; small fine; no license suspension. Defendant was involved in a road rage incident on route 51 in the brentwood area. The Defendant was driving a truck and was cut off by another driver and the two began to ram into each other for about a mile on route 51. Each driver was charged with reckless driving. If convicted, both drivers faced possible jail time, mandatory license suspension and 4 points on their driving record. Neither the Defendant nor the opposing party wanted to negotiate any of the charges as emotions were still high at the Preliminary hearing. Attorney Walker was able to being both parties together with the officer and explain the possible penalties if either party was found guilty of the reckless driving offense. Attorney Walker thereafter negotiated with the officer to have the reckless driving citation reduced to a 3111 offense, which requires no jail time, a small fine, no license suspension and no points. The officer objected but left the decision to the magistrate judge. Attorney Walker successfully argued to the Magistrate judge at the Preliminary Hearing to have the more serious crime of reckless driving dismissed and both drivers entered a guilty plea to the reduced offense of disobeying a traffic signal. RESULT: Drug treatment program; all charges reduced to summary offenses; Defendant eligible for expungement after 5 years. Defendant was charged with misdemeanor disorderly conduct, tampering with evidence obstruction of justice, resisting arrest, possession of narcotics and possession of drug paraphernalia. Essentially, the Defendant was stopped coming out of a nightclub one evening, searched and found to have possessed illegal narcotics. Once discovered with narcotics, the Defendant began to fight with the officers and resist arrest. The Defendant contacted Attorney Walker for Defense of his criminal charges. Attorney Walker agreed to accept the case and immediately suggested seek out a treatment program. Attorney Walker contacted the officer assigned to the case to attempt a possible resolution to the case without any jail time. Attorney Walker met with the prosecutor and the officers at the preliminary hearing to discuss a resolution. The prosecutor agreed to reduce the charges and take jail time off the negotiating table. Attorney Walker was thereafter able to strike a deal for the Defendant to seek treatment and the charges would be reduced to all summary offenses and eligible for expungement after 5 years. The Defendant completed the treatment and the major charges were reduced to summary offenses. CHARGES: Impersonation of a Public Servant / Police Officer. RESULT: Charge reduced to a Summary Offense; no jail time; eligible for expungement after 5 years. Defendant was charged and arrested with impersonating a public servant/police officer based on the following facts: Defendant was feuding with his live-in boyfriend one evening. The boyfriend went to a club for drinks. In a jealous rage, Defendant called the bar pretending to be an officer and requesting the bartender to remove the boyfriend for official reasons. The Defendant called the bar a couple of times pretending to be an officer and the bartender eventually contacted the local police who contacted the Defendant and confronted him regarding the earlier calls. Upon the confrontation, Defendant admitted that the calls were pranks and he only wanted to have his boyfriend leave the bar. The officer charged the Defendant with misdemeanor offense of impersonating an officer, a serious offense in the Commonwealth. The Defendant contacted Attorney Walker who agreed to accept the case. Attorney Walker contacted the officer to discuss possible resolution without the Defendant being faced with the non-expungable misdemeanor offense and possible jail time. After tense negotiations, Attorney Walker was able to obtain a reduction in the offense to a summary offense, no jail time and a small fine. Defendant is eligible for an expungement after 5 years. RESULT: Dismissed; Defendant eligible for immediate expungement. Defendant came to Attorney Frank Walker after being charged with Public Urination. Defendant thought of just entering a guilty plea and paying the fine until he was made aware of the potential penalties: permanent record, maximum fines and not being eligible for expungement until five (5) years following the conviction. Additionally, the Defendant was an employee of a financial Company with plans of becoming a licensed financial planner and any conviction forpublic urination would make it extremely difficult to sit for any licensing exam. Attorney Walker accepted the case and discussed with the Defendant the pre-trial requirements. The Defendant agreed to comply and attorney Walker contacted the officer to begin negotiating a resolution without the need for a conviction. Attorney Walker represented the Defendant at the Preliminary Hearing and negotiated aggressively for a dismissal of the citation. The officer agreed to the dismissal after reviewing the Defendant's pre-trial proactive approach. The Defendant apologized to the officer and walked away with a dismissal. Defendant was also immediately eligible for an expungement of the dismissed offense. CHARGES: Public Intoxication; Misdemeanor Disorderly Conduct. RESULT: Charges dismissed; Defendant pursued expungement. 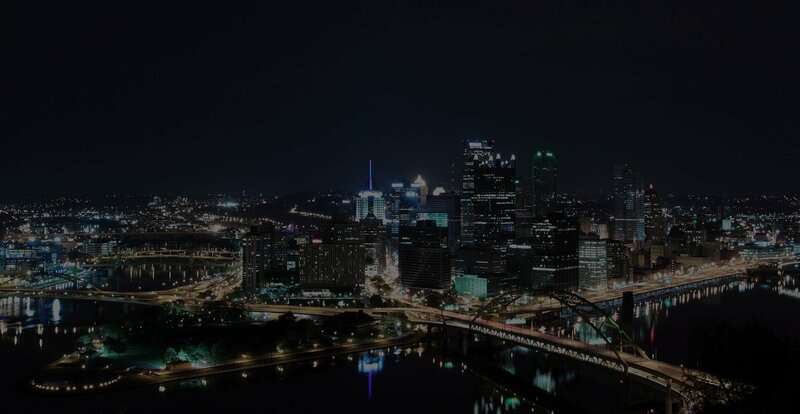 Defendant was arrested for public intoxication and misdemeanor disorderly conduct resulting from a night of drinking on the South Side of Pittsburgh. Essentially, the Defendant went out on the South Side on a Weekend, had a bit too much to drink and when approached by an officer, mouthed off to the officers. Unlike the summary offense of Disorderly conduct, a misdemeanor offense of the same crime prohibits the Defendant from expunging the conviction after 5 years. Defendant contacted Attorney Walker for advice and possible representation at the Preliminary Hearing. Attorney Walker met with the client, reviewed the facts and agreed to accept the case. Defendant agreed to complete Attorney Walker's pre-trial recommendations. Attorney Walker met with the client, assistant prosecutor and the officer at the Preliminary hearing to discuss a possible resolution to the case without a conviction on the Defendant's criminal record. After several lengthy conversations, Attorney Walker was able to obtain a dismissal of the entire criminal complaint filed against the Defendant. The Defendant thereafter moved forward with an expungement of the dismissed charges to protect his clean record. CHARGES: Two charges of Public Intoxication. Defendant had the unfortunate experience of being twice cited for public intoxication in a short period of time. Defendant was employed by a company that conducted periodic background checks of their employees. Defendant was terrified of being convicted of the offenses due to the possibility of jail time, fines and the likelihood of losing his employment. Defendant contacted Attorney Walker who agreed to meet with the Defendant to discuss the case and the causes of the offenses. After meeting with the client, Attorney Walker agreed to accept the cases only after receiving assurances from the client of his compliance with Attorney's pre-trial preparation requirements. Attorney Walker represented the Defendant at the Preliminary Hearing and negotiated hard with the Police Officer to obtain a Dismissal of the citations. The officer was initially opposed to a dismissal, but eventually agreed with the same since the Defendant complied with Attorney Walker's recommendations, apologized to the Court and the arresting Officer. The Defendant was able to walk away with a clean record as both citations were dismissed. Defendant is now seeking to have the dismissals expunged from his record. CHARGES: Misdemeanor Possession of Crack Cocaine. RESULT: EDP Agreement: 6 months of probation, no verdict, no jail time, no conviction on Defendant's record. Defendant was arrested for possession of crack cocaine and sought out Attorney Walker for Criminal Defense at his upcoming Preliminary Hearing. Defendant had never been arrested prior to this offense and had just started a government job that required periodic background checks. If convicted of the misdemeanor offense, Defendant, who was the sole provider of his household, was facing maximum penalties that included jail time and hefty fines. Most importantly, the Defendant would lost his recently obtained employment. Attorney Walker agreed to accept the case and immediately contacted the officer assigned to the case in an attempt to resolve the case. The officer was willing to resolve the matter short of a hearing but left such discretion to the prosecutor assigned to the case. After discussions with the Prosecutor, Attorney Walker was able to negotiate an EDP resolution for the Defendant. The EDP agreement reached included 6 months of non-reporting probation without verdict, zero jail time and the Defendant was able to maintain his employment since the conviction would not appear on his record.